This is a boutique Physiotherapy practice giving one to one personal treatment. Brendan Dax is the sole practitioner and will be your direct contact in managing your problem. This means that you will only have one person to explain yourself to. You will also have the confidence of being in the hands of Bentleigh’s most experienced Physiotherapist. 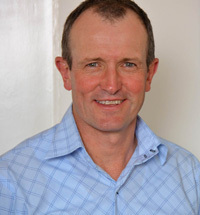 Brendan has been in private practice since 1989. He has provided Physiotherapy treatment for injured workers of some of Victoria’s largest employers, including Australia Post, Coles, Woolworths, Jayco Caravans and many more. He has previously been Physiotherapist with Springvale Football Club (now Casey Scorpions). Married with three children, he is a keen golfer, runner, swimmer and sports enthusiast.